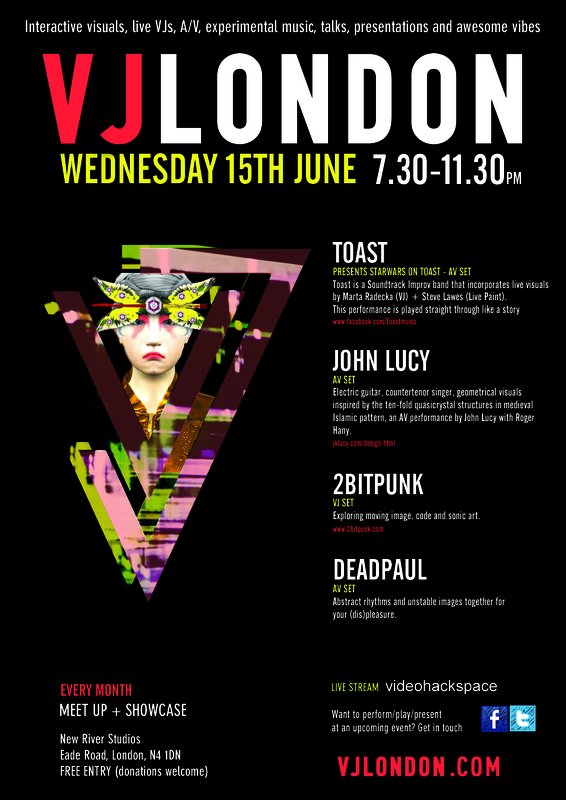 TOAST – UK is a Soundtrack Improv band that incorporates live visuals by Mar Tu (VJ) + Stevedrawes (Live Paint). 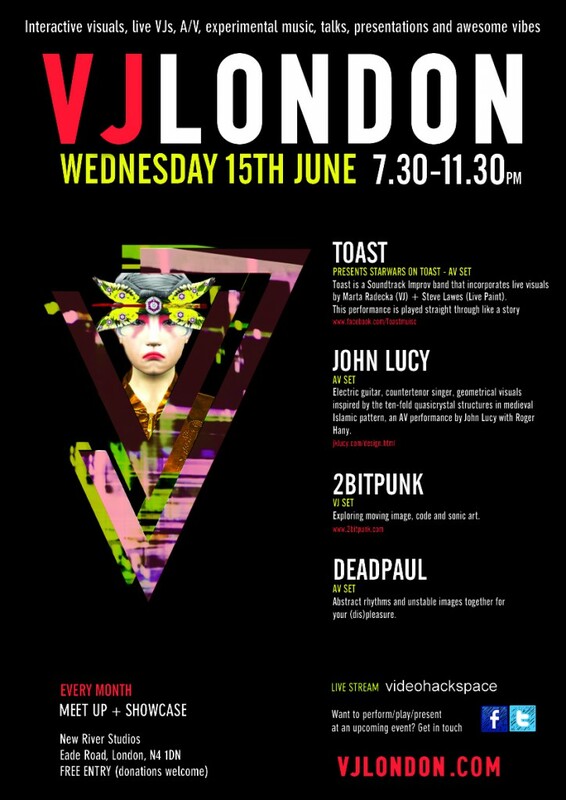 The project StarWars on TOAST brings back the idea of the organic with the unexpected of crazy musicians improvising on known soundtrack themes while the VJ’s capture that glimpse of creativity to create a feast for the eyes and ears… and together move dem legs 😉 – the band is pretty groovy to say the least. This performance is played straight through like a story. John performs rock music and Italian artsong with countertenor singer Roger Hany in the experimental band Sacrifice & Bliss whose music was recently featured on BBC Music 6. The performance uses the discovery of ten-fold quasicrystal structures in medieval Islamic pattern work as a starting point for live audio visualisation. A quasicrystal is represented by adding sine waves rotated around a point, aspects of the waves altered to respond live to a musical performance. The mixing and manipulation of mathematical functions are used to produce variations on this theme exploring the boundary between simplicity and complexity. 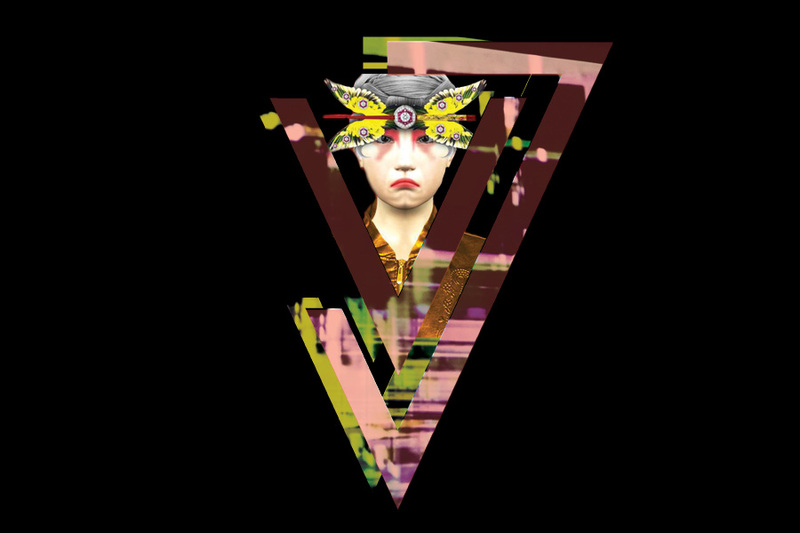 2bitpunk (Michael Speechley) explores moving image, code and sonic art.